The airspace security industry is growing rapidly, and laws involving the safe integration of drones to national airspace are slow to catch up. As more drone incidents and airspace intrusions are occurring, organizations protecting high-risk and high-value infrastructure must be proactive and protect their airspace from drone threats. Our buyer’s guide will walk you through the first steps of developing an airspace security program and help you understand how to evaluate your options and make the best decision to protect your facility against airspace threats. We’ll start with an outline of the terminology and types of technology you’ll be assessing throughout your purchasing process. From there, our document will help you begin developing objectives and goals for your new airspace security program, outline who on your team needs to be engaged in the process, and how to have a productive and streamlined introduction conversation with an airspace security technology provider. 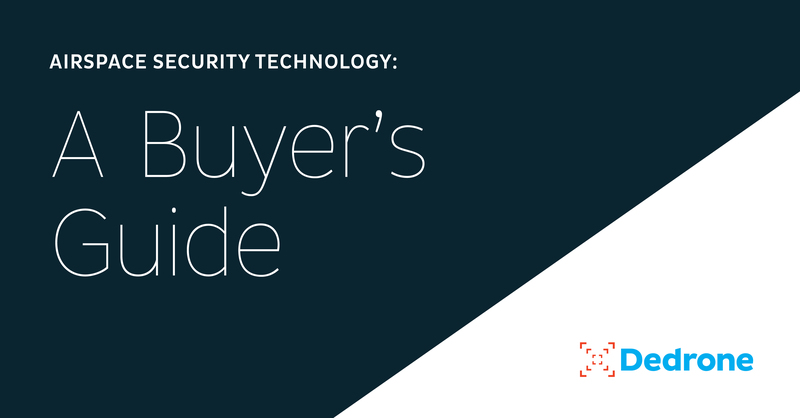 Access and download your copy of the buyer’s guide, here.